Vicki let out a breath of release as she walked on to the airport. She was afraid that she was going to miss her flight after oversleeping. All night her dreams had been filled with Dex McAllister. Although they'd only spent a few minutes in each others' presence, she'd found herself utterly intrigued by him. She recalled stories Drew had told of his tech-genius older brother, so finally meeting him in person was beyond anything she could imagine. She'd seen him, as the best man at Drew's wedding, making his way around that day, ensuring everything was perfect. She hadn't gotten a chance to speak to him that day. Her fingers still tingled at the memory of his hand wrapped around hers. His grip had been firm, and she'd been surprised to find his hands slightly calloused. She hadn't expected someone who spent most of his time at a laptop to have such rough hands. That meant he did more than just type keys all day. Vicki always did like a man who could put his hands to good use. Vicki blinked and found herself looking at the smiling gate agent, smiling at her with her hand out. "Oh," Vicki said, shaking her head. "Sorry about that?" The gate agent's smile widened even more. "Not a problem," she inspected the ticket and then handed it back to Vicki. "You're all set Miss Grey. Enjoy your flight." 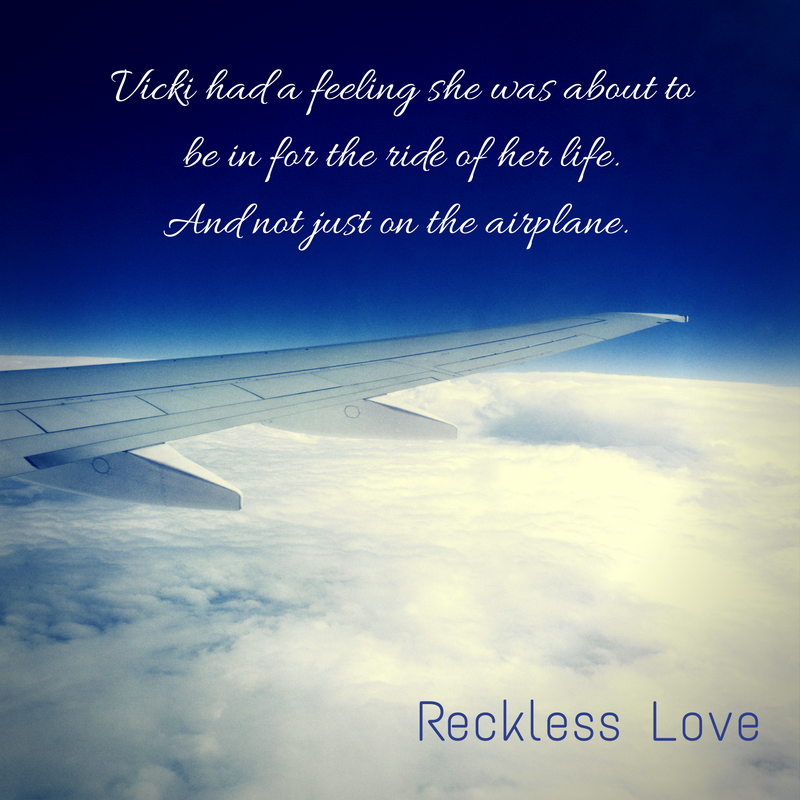 Vicki walked down the long corridor toward the airplane, amazed by the way thoughts of Dex quickly spiraled into something down right naughty. That was part of the reason she'd overslept. He'd invaded her dreams most of the night. She had to admit, she'd been disappointed that their conversation had been cut short. It had been a long time since Vicki had met a man where the attraction between them was instant. She'd wanted to continue getting to know him. Most of Drew's family ran a chain of popular hotels and resorts, The Lillian. They were all over the world but the headquarters was in New York and most of Drew's family lived there. Drew had implemented the security on the hotels with top of the line software that Dex had created. She'd seen some of Dex's work firsthand, including the security system he'd created for Drew's house in Texas, and was throughly impressed. She remembered Drew mentioning that when Dex wasn't traveling, he lived in New York. 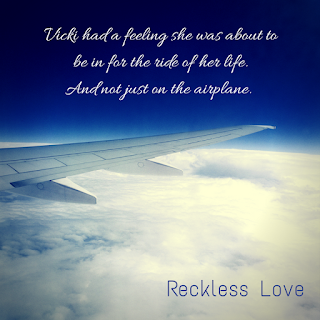 Vicki's eyes grew wide and she looked up at the seat number and then down at her boarding ticket. She looked down again, shocked to see the man who'd been occupying her thoughts, sitting in the window seat, typing away on his laptop. His long fingers paused over the keys and his eyes lifted to look at her. "Vicki," he said, his lips curving into a mischievous grin. "What a small world." "Hmmm," she said, studying first him and then his computer. 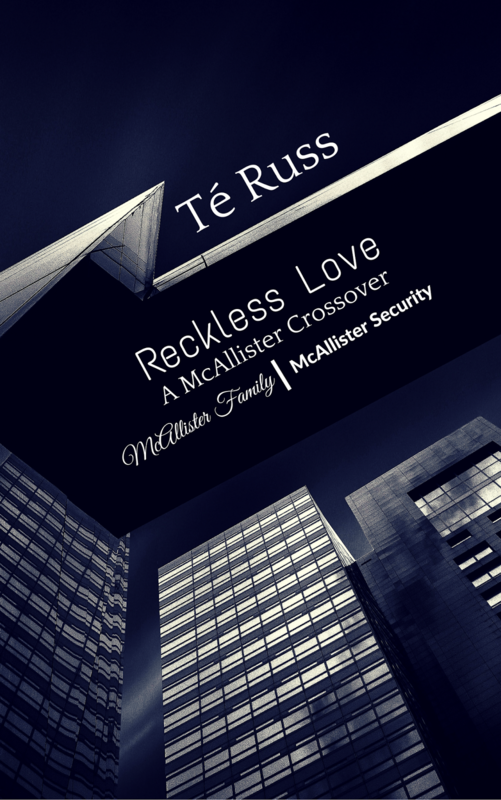 She was about to lift her suitcase in the overhead compartment, when Dex quickly closed his laptop and swiftly moved to help her. "Let me put that up for you," he offered. She stepped aside and watched as he lifted the case with one hand and placed it in the compartment. "Why do I get the feeling that you've had a hand in making it 'a small world'?" she asked as they settled into their seats. He placed a hand over his hand, appearing affronted. "Miss Grey, I know you're not implying that I..." He looked around before he leaned closer to her and lowered his voice. "That I would tamper with the airline's system to get a flight and seat of my preference." "That is exactly what I'm implying, Mr. McAllister." "You don't believe in fate?" he asked. "I believe we make our fate. And I believe you used your..." She glanced at his computer. "...skills, in order to procure a seat on my flight. I'm not sure whether or not I should be flattered or reaching for my knife." "How in the world did you get one past security?" Dex asked. Vicki reached into her pocket and pulled out what looked like a lipstick tube. She opened it just enough to reveal a hint of the blade built in, before closing it and putting it back into her pocket. Dex nodded his head. "Very impressive." "Thank you," she said, smiling. She was almost always armed with something that she could defend herself with. She watched as Dex reached into his pocket. He pulled out a coin, flipped it with his thumb and after he caught it, he held it up in her face. She grinned when he discreetly pulled on the coin and it split open, revealing a blade. "Looks like we're birds of a feather," he said with a wink. "So," Dex said, as he place the coin back into his pocket. "I'm assuming since you put that away, you're going in the direction of flattered?" "Considering I've been a fan of your computer abilities from a distance for some time now...yes, I'll go with flattered," she said. "Now that you have me where you want me, what do you intend to do?" That grin that caused her stomach to flip flop returned. She was completely aware of the innuendo in her words and she was eager for his response. "Excuse me, I think you're in my seat." 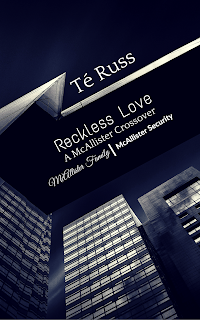 Vicki turned to see an older woman standing over them, glaring at Dex. She watched as he pulled his boarding ticket out and pretended to be confused. "I'm sorry, ma'am," he said, sounding genuinely contrite. "There must be some mistake, this is my seat. See..."
He held his ticket up, which showed the seat number. The older woman huffed and held up her ticket as well. Sure enough, it had the same seat number. "Is there a problem?" a stewardess asked. The woman pointed at Dex. "He's in my seat." The stewardess smiled. "May I see your boarding ticket, sir?" "Of course," he said, smiling at her as he handed her the ticket. She looked at Dex's and then the other woman's ticket. She looked up at the two of them apologetically. "I'm sorry, sometimes there's a glitch in the system and seats get double booked. Ma'am, it won't be a problem to find you another seat." "But that's the seat I want. It's the seat I was assigned." Dex stood and the women had to tilt their heads up to look at him. "I would be more than happy to find another seat," he said and then looked down at Vicki. "But only if my wife is able to come with me. You see we are headed to our honeymoon and we couldn't stand being away from each other." The stewardess sighed and the older woman began to stutter. Vicki bit her lip to keep from giggling. "I...I suppose I could sit elsewhere," she acquiesced. "Thank you. You are too kind." The stewardess continued down the aisle helping the woman find a new seat. Vicki finally turned and shook her head. "You didn't think to change her seat?" "Of course I did, but there was no telling whether or not she'd already printed her ticket," he said, settling back into his seat. "Sometimes what makes a perfect plan is the imperfections." Dex shrugged and stared at her for a moment. "Before we were interrupted you asked me what I intended to do now that I had you where I wanted you." Her pulse kicked up a notch at the look in his eyes. "I intend to ask you out," Dex said. Vicki smiled at his words. "I'd like that." At that moment, the plane began to coast toward the runway for take off. Vicki had a feeling she was about to be in for the ride of her life. And not just on the airplane.